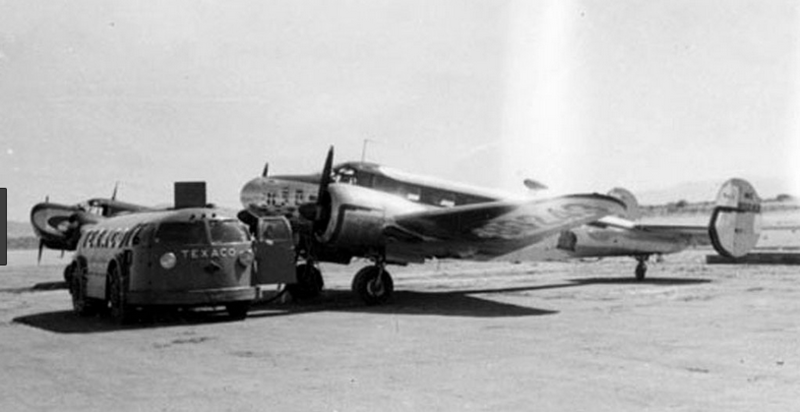 In the early thirties, the Texas Co embarked on an initiative to modernise its image and its tanker fleet. 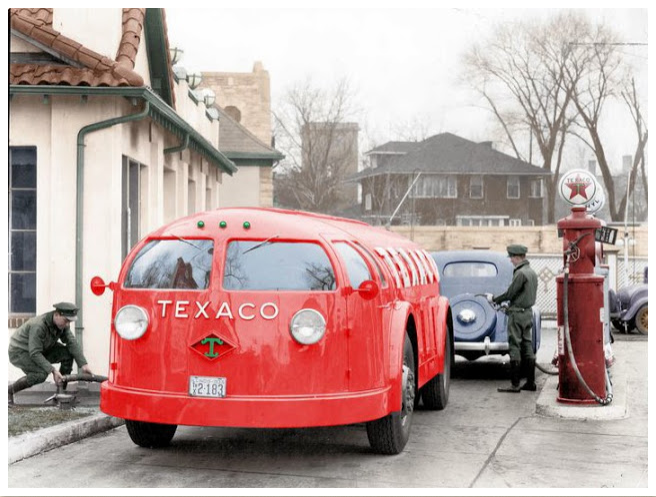 The innovative and futuristic tank truck that the company subsequently created is popularly known as the Texaco Doodlebug. 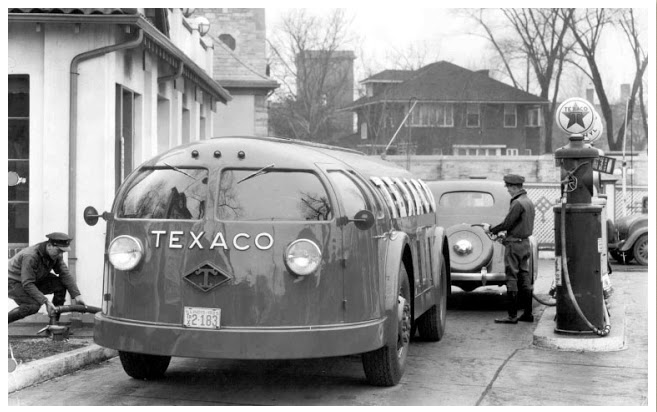 Five years before the 1938 Diamond T tank truck was manufactured, the Heil Co, in conjunction with the Diamond T Motor Car Company, worked with Texaco to produce the unmistakable, distinctive Texaco Doodlebug. 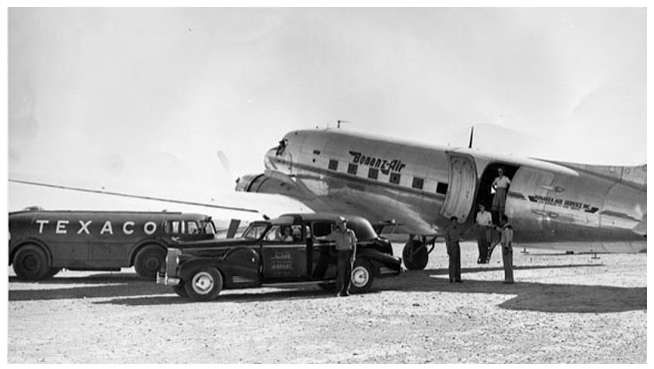 By researching the earlier relationship between these three companies, I found the answer to a question that I had about our 1938 Diamond T tanker. 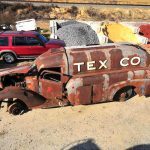 With such little information available on the Texaco Doodlebug, I was pleased to find a couple of articles written by Michael Lamm on the subject. 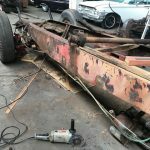 The first was back in 1995 in the Hemmings Motor News “Special Interest Autos” publication and the second was in 2015 and posted online for The Old Motor. 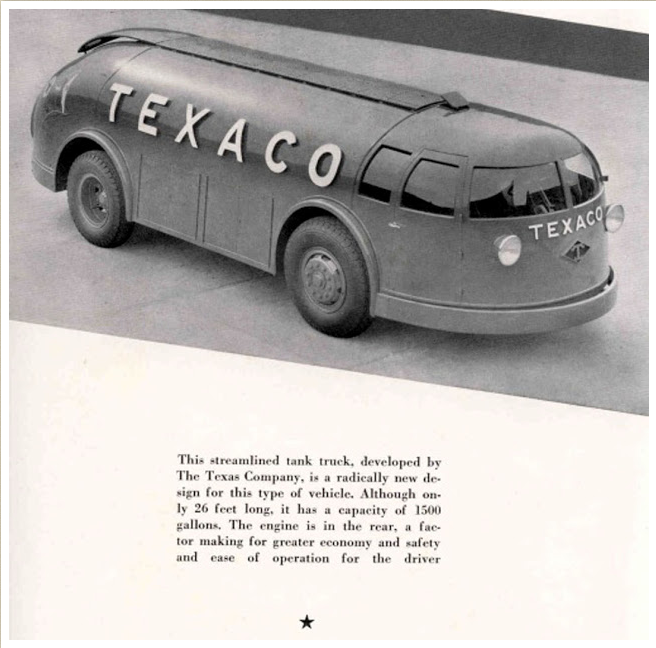 I also came across a very informative website at www.coachbuilt.com that explains the Heil involvement, and also has the Texaco Doodlebug specifications that were published in a November 1933 issue of Automotive Topics. Early in the 1930s, a large proportion of the American population was using coal to heat their homes. This was, of course, a very dirty, greasy product to handle and use. So the oil industry was keen to encourage American consumers to change over to oil as the primary home heating fuel. 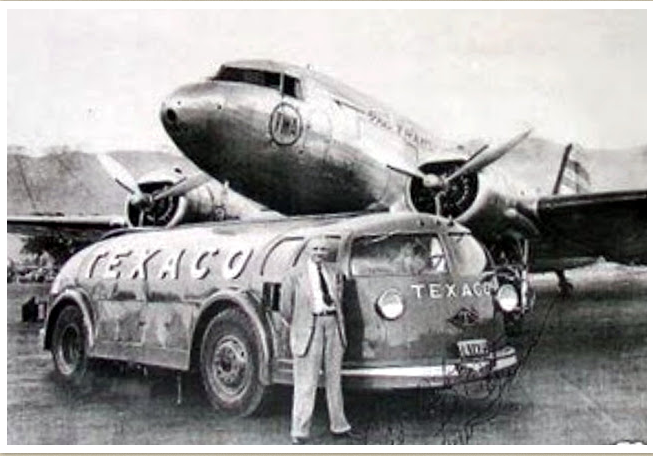 When considering how best to promote this, Texaco decided to carry out a rebranding program to modernise its image and at the same time, produce a visually desirable, clean tank truck to deliver oil and gasoline. 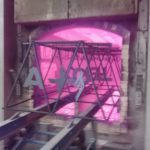 It is suggested that the company engaged the services of two industrial design firms owned by Walter Dorwin Teague and Norman Bel Geddes to work on the design brief. 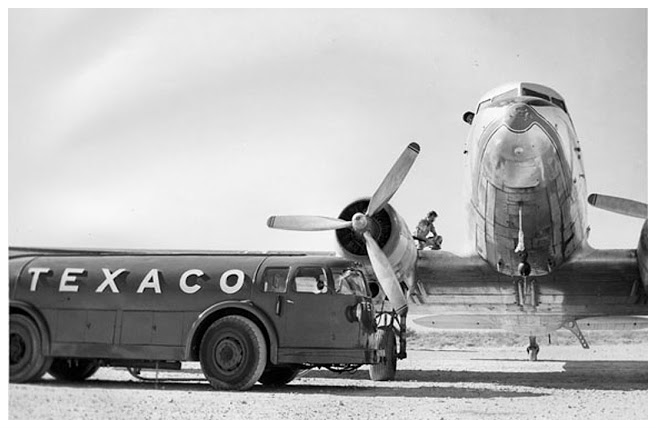 The ensuing corporate identity program saw the creation of the Texaco red T-star logo, new service station architectural designs and colour schemes, new white uniform styles and the famous large “TEXACO” block lettering that was affixed to the sides of the streamlined tank trucks. One piece of the puzzle that I hadn’t solved when I published the post on the 1938 Diamond T block letters was who had actually designed the powerful, bold logo. Thanks to Michael Lamm’s research and informative articles, this question has now been answered. Also in his articles, he referred to the Texaco tankers as “rolling billboards” – a very apt description! 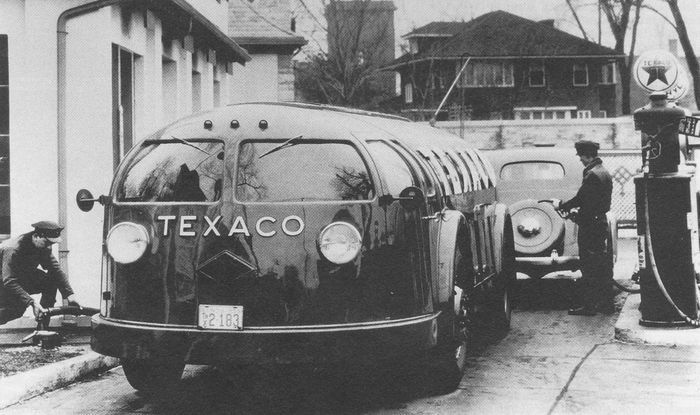 Howard W Kizer, Superintendent of Automotive Equipment for The Texas Co, was in charge of the Texaco fleet and was apparently keen to build an eye-catching fleet that would not only grab the public’s attention, but also have a sanitary, clean appearance. 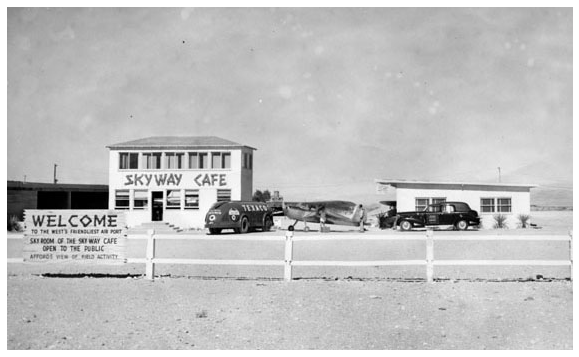 The Texaco Doodlebug certainly delivered on both counts. 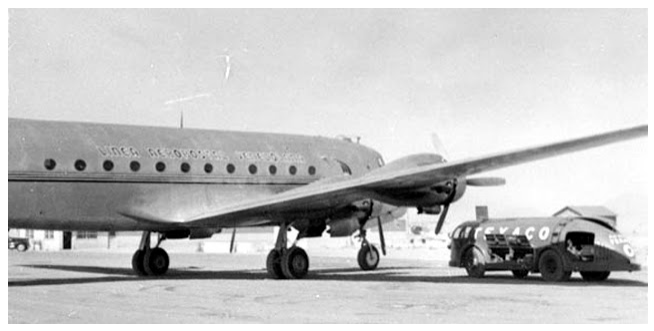 It is thought that Norman Bel Geddes and his team worked with Howard W. Kizer and C.A.Pierce, Chief Engineer for Diamond T, to come up with the radical, streamlined design. 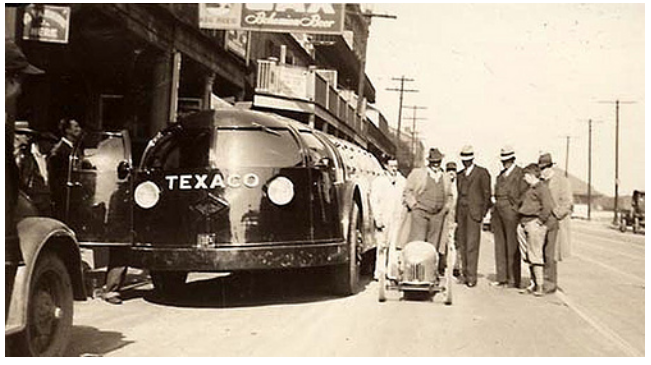 The Heil Co then constructed the Texaco Doodlebug in conjunction with The Texas Co and the Diamond T Motor Car Co. The unique and futuristic tank truck featured at The Chicago World’s Fair which ran from 1933 to 1934 to celebrate the city’s centennial. The next two details came as a surprise to me and deserve special mention. Firstly, it seems that there may have been only six Texaco Doodlebugs ever produced. What is known is that none of them survived. 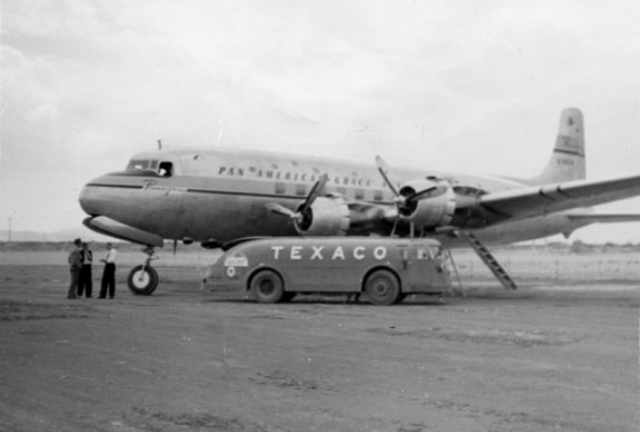 They may have been scrapped in latter years like so many of the successive streamlined tankers, or perhaps Texaco deliberately destroyed them when they came out of service. Secondly, despite the colourised image shown above and the numerous red Texaco Doodlebug models that have been produced, it is noted from one source that these tankers were painted black. 26 March 2019: Since publishing this post, I have discovered several articles written in the thirties that state the Doodlebugs were painted red. I cannot find any evidence whatsoever that supports the suggestion that these were ever painted black. The remaining images are all taken at airfields and some photos highlight the incredibly low height of these spectacular tankers. 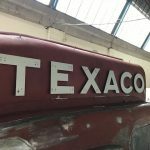 So many details on the Texaco Doodlebug have been lost forever and we will unfortunately never see a restored example. 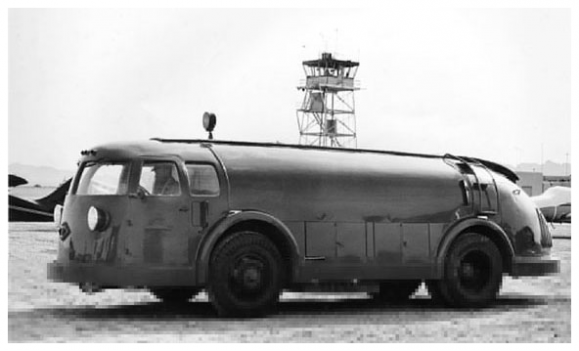 But thankfully, with the research that has been done by Michael Lamm and other historians, the memory and image of this unique, aerodynamically styled tank truck is being kept alive . 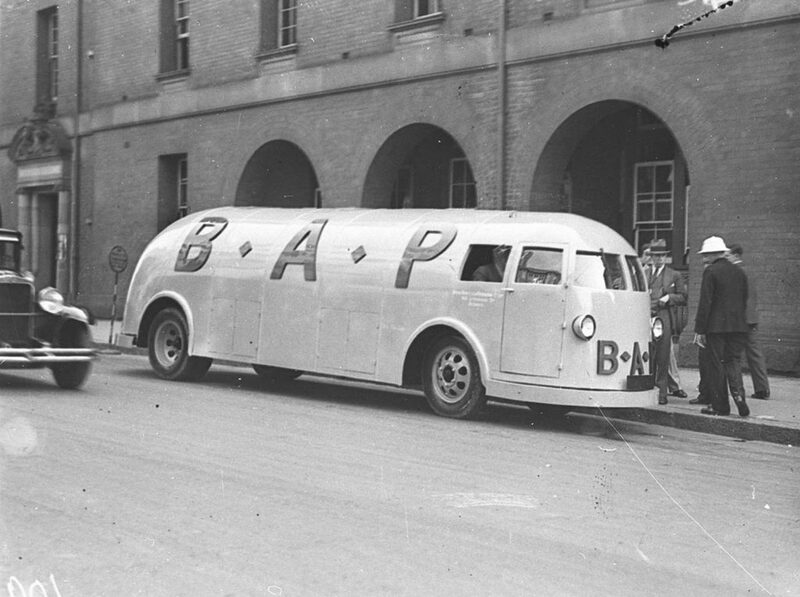 A little closer to home, a similar looking tank truck was photographed in Sydney, Australia, in late 1934. 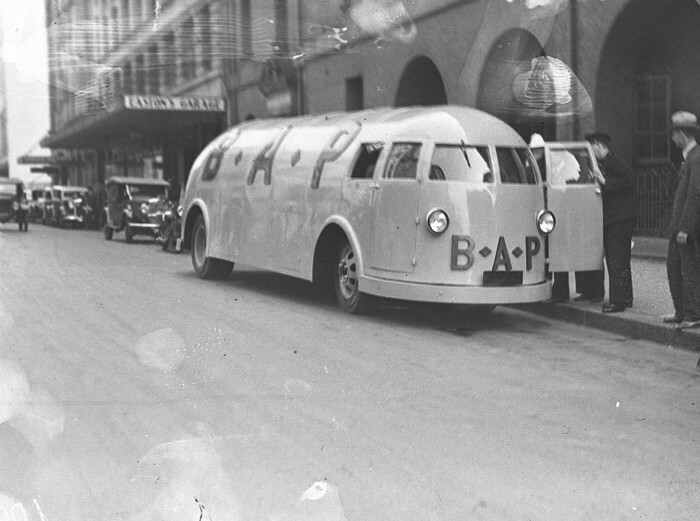 Commissioned by the British Australian Petroleum Company, I cannot find any information on what chassis it was built on or who the tank manufacturer was. 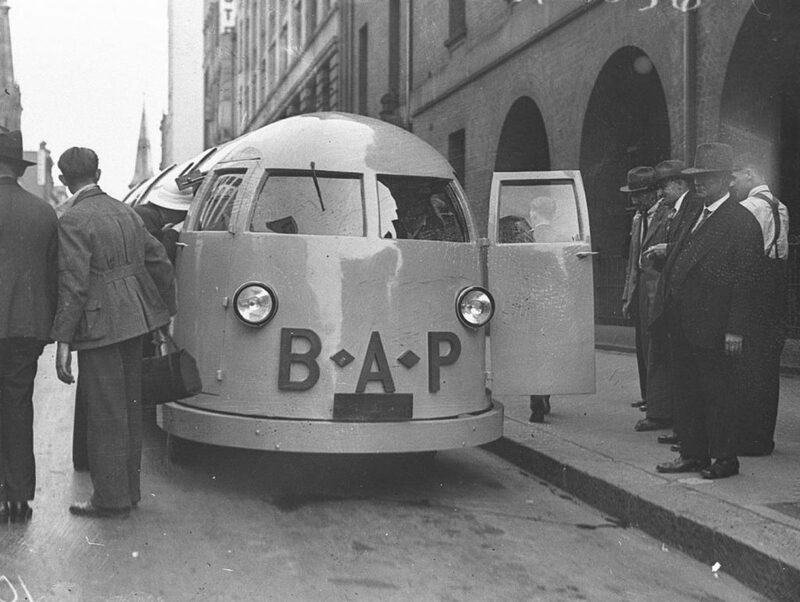 Although the front appears to be similar, the Norman Bel Geddes stylish design at the rear of the Doodlebug certainly wasn’t replicated in this Australian tank truck. Great history! Too bad there are no survivors. It sure is. Thanks Jerry. Definitely a very unique truck. Thanks Graham. 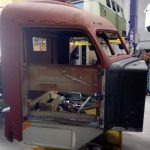 All the more reason to do what you’re doing to preserve this great historical truck! Keep up the great work! Thank you for the enjoyable reading. Especially like the references at the end. Will take me all day to go through them all…..but I will! Great to hear you are going to read through all the articles. Thanks Rick. They really are a thing of great beauty . Surely someone needs to build a replica ! Cheers for the read . We know what you mean 🙂 Thanks Shrappy.